Joanne Balbarin is a Chicagoan, born and bred. 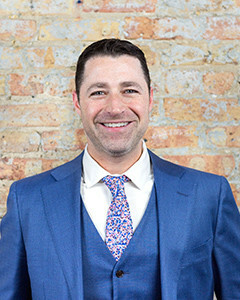 She loves the city despite its sometimes-abrupt weather mood swings and uses that love of The Windy City's diverse neighborhoods in helping clients find their dream home. Community Involvement: Giving back means more than writing a check; allocating one's time creates a better place to live. Laura has been an accomplished real estate professional since 2005. Starting her career in residential leasing, Laura quickly grew to be one of Chicago's top leasing agents, where she negotiated over 1,000 leases. She oversaw a natural progression as her clients went from renters to first-time home buyers, prompting Laura to turn her focus to the purchase market. She now specializes in assisting buyers with condominium and single-family home purchases, as well as investment properties. Laura also spends a lot of her time working with sellers, providing the most current market data and knowledge of Chicago's neighborhoods to accurately price and market their home for the best possible return. Laura has a passion for interior design and decor, which helps her advise sellers on home staging and de-cluttering in order to attract the largest pool of buyers for their property. Laura's number one goal is to provide her clients with excellent customer service and to make them feel comfortable throughout the buying and selling process, knowing that it is often one of the largest financial decisions her clients will make in their lifetime. She is dedicated to making sure her clients are well informed, treating each transaction as if it were her own investment. She does not view real estate as a one-time transaction; rather, it's about creating a long-term, trustworthy relationship with each client. Long after the transaction is complete, Laura keeps in touch with her clients and remains their resource for "all things real estate" (contractor/vendor referrals, current market analysis, etc). This approach is why Laura has earned such a strong referral business over the years. She is always in tune with the ever-changing market and uses that knowledge to guide and inform her clients. 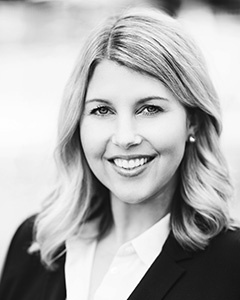 Laura continues to sharpen her real estate knowledge through continuing education courses and acquiring new credentials, such as Certified Negotiation Expert and Accredited Buyer Representative. Laura has worked with the LAKE Group since she joined @properties in 2012, where her business has continued to grow year after year. The Lake Group has always been a top-producing team, most recently grossing over $37 million in 2016 and over $43 million in 2017. 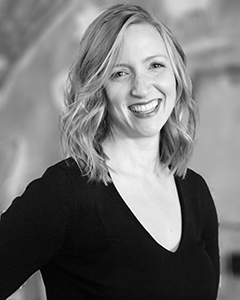 Nancy first joined @properties in 2010 and brings ten years of experience in Architecture, Interior Design and Construction to her real estate career, all tremendous assets when listing your current home or deciding to search for a new one. 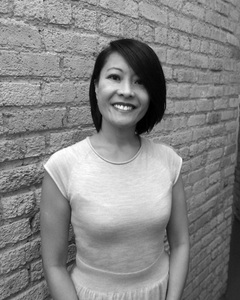 After earning her BFA in Interior Design while living in VA, Nancy relocated to Chicago to obtain her Masters of Architecture at IIT. She is passionate about Architecture and Design and believes everyone should be able to find and live in their dream home. Nancy offers her clients a comprehensive understanding of the real estate market and insight into potential opportunities and challenges when searching for a new property. Additionally she is able to utilize her experience to provide suggestions of potential value-adds when listing your home. Whether you are looking at potential renovations prior to listing your property or at cosmetic adjustments to heighten buyer appeal, her insights are an immense asset to her clients. Nancy also pens a blog, Haven by Design, exploring topics relating to Real Estate, Architecture and Design, and anything else that inspires her.